Count down to the big day (birthday, graduation, start of a new school year - you name it) with this wooden calendar. Savor the joy of anticipation! 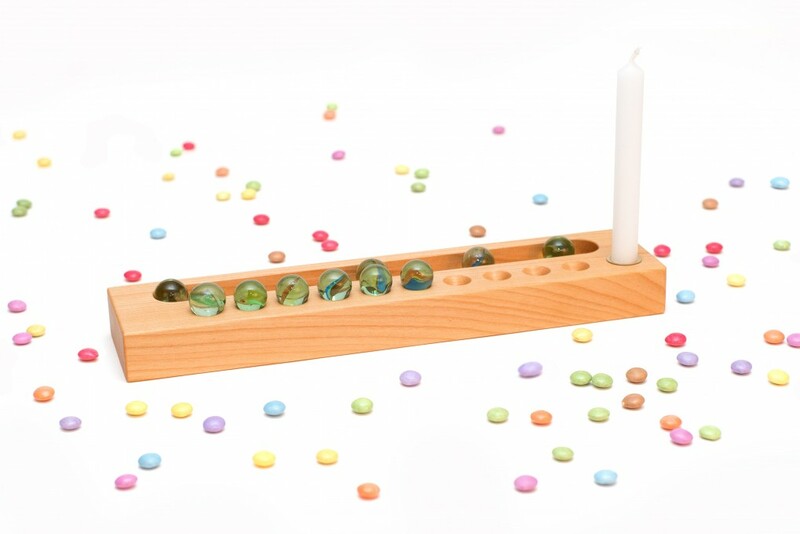 With our birthday calendar made from solid cherry wood you can count down the last ten days before a birthday by placing marbles in the designated slots. Then mark the big day with a candle at the end!